I think I saw a very, very special filly debut at Grand River last night. All Tucked Up, a two year-old daughter of Western Ideal, won at first asking in 1:59.2. 1:59.2, big deal, right? Wrong. She paced her own last half in :56.0 and flashed a freakish, :27.2, turn of foot in the last quarter, all while being hand driven. She sure looks like the real thing. Her driver, Randy Waples, seems to think so, too. I spoke to him this morning to and he was still beside himself. I learned that both he and Austin had an inkling that she was a good filly even through her early schooling efforts and especially after her initial qualifying effort at Mohawk on July 13. Speed aside, Waples was equally impressed with All Tucked Up's professionalism. "She's as smart as a whip and looks after herself. Last night's mile was huge, especially when you consider that I pretty much stopped her in the first turn to get around some trouble. She's the perfect size, good-gaited and has a big engine." Needless to say, Waples said he was going to take some time this morning to further investigate the Stakes engagements that the filly has ahead of her. Be sure to add All Tucked Up to your list of horses to watch in the weeks ahead. Her debut suggests she's one worthy of the attention. Dalhousie Dave's winning performance in last night's Summertime Series Final has me wondering if he's not a robot disguised as a horse. Did you see the race? Horses just aren't supposed to be able to do what he did last night. Jody used him a little bit leaving, then came a long first-over into a :54.2 last half and still drove away from good horses like Outrageous Art and Dreamlands Art to win in 1:49.4! Wow! I can't figure out what his own last half was because I can't read the chart lines anymore, but I know that he was as good as a horse could be. Congratulations to Tony O'Sullivan and The Fielding Brothers, who are also the breeders of the Ontario-sired (Astreos) colt. It was "Chalk or Bomb Night" at Flamboro on Friday. Five of the card's ten winners paid $4.60 or less while the other half of the races were taken by horses that paid $12.30, $14.80, $42.70, $51.40 and $78.70. Post time today is 1pm. At Grand River, veterans Bill Megens and Art Craig both won races with trotters while Just A Lad earned his 45th lifetime win. Trevor Henry had the best night of all of the Elora track's drivers, yielding a 3-2-2 record from his ten drives. I don't know what you've got planned for tonight, but you should be making the trek to Georgian Downs in Innisfil, Ontario for this year's Gold Rush card. Four Ontario Sires Stakes Gold Series Finals, four Masters Series Finals and more than $1,000,000 in purses. The weather is supposed to be great and the atmosphere will be second to none. See you there! 6-ROCK N ROLL HEAVEN...back at home track, in a great spot tactically. 7-ALL SPEED HANOVER...choked (literally) in NA Cup, he can bounce back. 3-ONE MORE LAUGH...no chance at Mohawk, as dangerous as any from covered trip. 2-ROCKIN IMAGE...as good as ever right now, Jersey Cup win was freakish. 3-IDEAL MATTERS...a better horse than most of these, lone threat to Takter trainee. 7-FRED AND GINGER...Palone's last two drives have been just plain awful. 5-SPORTSWRITER...obviously capable but ridiculously overbet tonight. 6-IAM BONASERA...2nd-time Jamieson, favourable dynamics, longshot potential. Please, please, please don't get sucked in on 1-MR STRUT today! His win of last week was a dynamics win as he was in the right place at the right time when he took over from a recently useless Lifestream Mindale. He got the jump on the field in the third quarter, a headstart that he needed because he ended up walking the last eighth and narrowly holding off the free-too-late 8-DREAMDROP HANOVER. If you didn't go to the wedding last week (14-1), why go to the funeral today? I'm not sure which of these will win, but I know I don't want anything to do with 1-MR STRUT, nor should you! 2-TEAM MATE is one-dimensional sort with an aversion to winning, but he drops to a new low today and his need-to-lead-to-win preference should be satisfied. I'm never a fan of favourites, but this looks like a "can't lose" situation for him. Use 1-KEYSTONE BEST BET, 3-LORELEI HANOVER, 5-MAPLE RUN DELIGHT, 6-KG WEAPON and 8-FBS GAL underneath. You can suit yourself, but I always like a fresh face in these restricted claiming races for mediocre horses. 6-PAUL ALEX is tagged for the first time and though he's obviously no killer, he's probably as good or better than any of today's rivals. You can have 2-AWARD HANOVER and 3-NOTIFY and 5-KILKERRAN ACCORD and all of the other bad, overbet horses that have already have several chances in this class. There are two mares that interest me here: 1-SMASHBOX and 7-BLISSFUL SMILE. The former finally draws inside and shouldn't be as far back as she's been in recent weeks from outside draws. The latter is intriguing as Scott Zeron takes over in a race that should feature dynamics that are favourable to her. Both of these will be acceptable prices. 6-PLUMB DUFF makes his third start for Fellows and after a very conservative trip in his debut, he went off to Kawartha and absolutely jogged in his most recent start. He's one of only a few speed horses in tonight's field and he should have the kind of trip that he needs to win. I think he's sitting on a lifetime best tonight. Enjoy the races tonight and feel free to share your thoughts or selections with readers in the comment section below. Check back on Monday (or Tuesday, depending on my condition) for news and pictures from Sunday's Canadian Drivers Showcase from St. John's Racing & Entertainment Centre. It's been a few weeks since my last blog post and I have a lot to talk about. While there haven't been any posts or actual SHEETS circulating for a few weeks, things are as busy as ever here at headquarters. The web site is only a few days away from being complete and is expected to launch next week once I'm back from Newfoundland and Fort Erie. Initial sponsorship of the project is better than I had expected. Thanks to Great Canadian Gaming, onlineharnessowner.com, Tickets Etc. Inc. and Clinton Raceway for being the first to support the project. More is needed. This free blog has quickly become a daily destination for racing and gambling enthusiasts who aren't afraid to spend money and the viewership is expected to triple once the actual web site is active. Since this project is just getting off of the ground, advertising rates are almost unreasonably moderate considering the tremendous opportunities of sales promotion offered by thepetesheets.com. Connect with your target audience. Maximize advertising dollars. See the results. For more information, please contact Peter Kyte at 226-374-4874 or thepetesheets@hotmail.com. Did you get this month's edition of Trot Magazine yet? Take your eyes off of the beautiful Riina long enough to read Darryl Kaplan's editorial. I thoroughly enjoyed it because I found his opinion to be very similar to that of mine which I shared in my "Please, tell me I'm wrong" post of Wednesday June 9. Feel free to share your thoughts in the comments section at the end of this post. 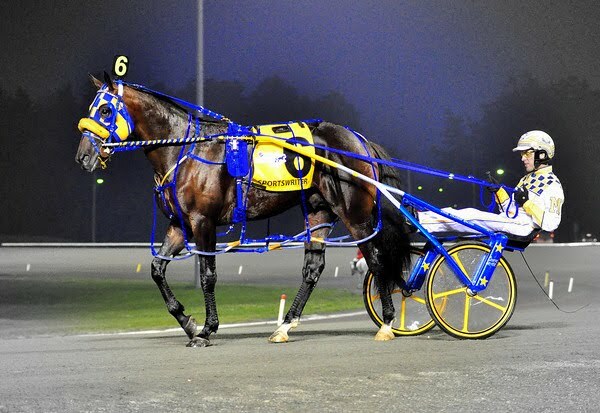 Sportswriter and the rest of this year's deep group of three year-old colts come together at The Meadowlands tomorrow night for three eliminations of The Meadowlands Pace. The North America Cup Champ is in the third elimination, Race 6 on the program. Post time is 8:40pm. The second elimination, the night's 5th Race, is by far the most shallow of the three but if Lou Pena's new recruit, Nova Artist, wins, you can be sure that it may just end up being the most talked about of the three! I think the horse is inferior to both Rockin Image and Ideal Matters, but can't rule out any horse sent forth by the sport's latest Super Trainer. I'll have more insight for you in tomorrow's Meadowlands Pace version of THE PETE SHEETS. I'll be at Georgian Downs on Saturday night handling the handicapping duties for their Gold Rush card. Four Gold Series Finals, four Masters Series Finals, 12 races in total -- it's going to be one hell of a night and I hope you're making plans to be in attendance. First thing Sunday morning, myself and several local drivers are flying to Newfoundland to St. John's Racing & Entertainment Centre to participate in this year's Canadian Drivers Showcase. I'm really looking forward to it and am flattered to be invited. I'll have a full report with pictures on the blog once I'm back in Ontario. Thanks to Greg Blanchard for covering for me at Fort Erie. Greg is among the best announcer's there are but doesn't get as much exposure as others, so I hope you'll tune in to The Fort's Sunday card to hear him! That's all for today. THE PETE SHEETS for tomorrow cover racing from Flamboro, Georgian, Mohawk and the three Meadowlands Pace elims. If you aren't already a subscriber and would like to receive the free product, send an email requesting your inclusion to thepetesheets@hotmail.com. Hey Mark, can I borrow $20? What a race! What a horse! What a story! I'll be the first to admit that I was among the skeptics. I know he won his qualifiers and that he flashed :26.3 closing speed in his first two, but wasn't it fair to expect more out of last year's superhorse? Brian Sears certainly thought so. Maybe we all would've been less judgemental had we known of the multiple quarter cracks that were plaguing Sportswriter. Jeff Boyd is Sportswriter's blacksmith and he's a friend of mine. I called him early last week looking for the scoop on Sportswriter's ailing tootsies. "Pete, he's going to win the North America Cup!" he told me. Neither of us would ever dare saying that loud enough for Ms. Coleman's ears to hear it because we'd have to listen to a tirade about her superstitions and blah, blah, blah. Women. "Seriously. I know he still didn't look perfect last week, but he really needed the stretching out that he got in the elim and I saw him today and he was acting like the Sports of old -- bouncing around in the cross ties, throwing his head around -- he's ready." Was he ever. Besides the horse, I was happiest for Mark MacDonald. Listen, business is business and just as drivers are allowed to pick off of horses, it's supposed to be okay on the rare occasion that trainers and owners pick off of drivers. Still, the human side of me couldn't help but feel bad for Mark when it was announced he was getting the hook this year in favour of Brian Sears. It's funny how things go sometimes, isn't it? This year's race saw a little more than an 11% increase in handle -- from $670,383 in '09 to $747,475 -- and the card's overall intake ($3,191,986) was just $51,287 less than last year's. Congratulations to Jamie Smith from Prince Edward Island! "Smitty" was among those subscribers that chose Sportswriter to win The Cup and his name was chosen as the winner for dinner for two on THE PETE SHEETS. CDP or Summerside, Smitty? Thanks to all of you that participated. Enjoy your Sunday and be sure to check tomorrow's blog for an important announcement! As I type this, there are only six hours until post time of what promises to be one of the greatest North America Cup races in history! THE PETE SHEETS for tonight's Mohawk card have already been sent to subscribers, but it's not too late for you to get yours! Send an email to thepetesheets@hotmail.com and I'll add you to the mailing list.